Jayson Napolitano is the founder of Scarlet Moon Productions, a videogame music PR firm, record label and artists group all wrapped up into one. 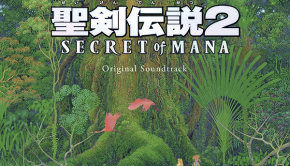 Through Scarlet Moon, Napolitano has employed a number of game composers old and new, including Hiroki Kikuta (Secret of Mana), Vince DiCola (Saturday Morning RPG, Transformers: The Movie), and Norihiko Hibino (Metal Gear Solid series). Napolitano has previously served as Destructoid’s Music Editor and Original Sound Version’s Editor-in-Chief. In this interview conducted during the second day of E3 2015, Napolitano lays out the origin of Scarlet Moon. He also discusses the formation of the company’s recent albums, music licensing hurdles, and his future plans, talking about projects such as Temporus, Unraveled, and the Prescription for Sleep series along the way. Patrick: Jayson, thanks for taking the time to sit down and chat about E3 and Scarlet Moon. How’s your E3 going? Jayson Napolitano: All I have to say is a new Nier game. That sums up E3 for me. I was watching the press conference with Square Enix on my phone, and when Nier was announced, I just logged out of the press conference, went on Twitter, and didn’t go back. “Alright, it’s over!” Unless they announce a new Suikoden, I’m pretty much done for E3. And if they did announce a new Suikoden, it would probably be a mobile, free-to-play game, which I know you have some heartbreaking feelings about! Patrick: One of many surprises this year! Jayson Napolitano: In general, E3’s been pretty good. There’s a lot of really cool indie games. It just feels like it’s not as busy. I always feel like E3 is just a zoo, but maybe it’s because I’m not shuffling around to appointments this year, so it’s kind of different for me. It’s actually kind of nice. Patrick: I feel the same way about it, actually. Jayson Napolitano: In terms of Scarlet Moon, things are going pretty well. We have the three branches of the company: there’s the PR side, the record label side and the artist group side. We just launched an album on the record label and we’re working on a couple other things on the record label right now. But really it’s been really busy with the artists, which is exciting because I’m getting to work on really cool projects with really cool composers that I know your readers are big fans of. It’s hard because I can’t really talk about a lot of things. It’s just weird being on the other side of [it]. Jayson Napolitano: I know! Hopefully, we’re working on a really big project with one of our composers who is known for RPGs and hopefully we’ll know more about that by the end of the year. Patrick: Is that Hiroki Kikuta? Can you say? Jayson Napolitano: It might be, it might be! We have two guys who are really known for RPGs. 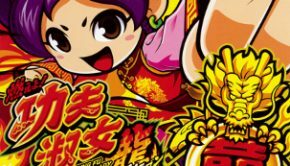 There definitely will be something by the end of the year for a project that somebody is working on, a fairly big RPG title [Editor’s Note: It has been revealed that Jayson was referring to Lab Zero Games’ Indivisible featuring Hiroki Kikuta]. And then from there, we have a lot of stuff that has been announced that the artist group is working on. We have Vince DiCola and Kenny Meriedeth who are going to be doing a remix for Temporus soon and are going to be doing a track for Starr Mazer. Patrick: I heard about their involvement in Starr Mazer. For Temporus, is it just a remix or is that going to be included in the game? Jayson Napolitano: It’s going to be a remix. C-jeff is doing the soundtrack, and so he wants to do a remix album. I think it was one of the stretch goals, or maybe not a stretch goal, maybe it was like “at a certain funding tier, you also get a remix album that he was planning on doing.” So Vince and Kenny are doing a track for the remix album. We keep in touch with Firebelly Studios and ask them what’s the progress, and we’re told that it’s going to be pretty soon and that we’re going to be able to have enough music that’s written for the game that we can kind of start listening and picking out a track. Starr Mazer we’ll probably be working on this year. And [NUREN] The New Renaissance, the VR rock opera. Patrick: So they’ll be working with Jake Kaufman and Jessie Seely on that? Jayson Napolitano: Yeah, so Vince and Kenny are going to get in the studio with Jake in person and co-write a song. So it’s not going to be a remix, it’s going to be an original track that they’re co-writing. As you can imagine, Jake is really excited. Jayson Napolitano: We also have Unraveled: Tale of the Shipbreaker’s Daughter, which was just funded on Kickstarter. And that’s going to be a collaboration between Hiroki Kikuta and Dale North, so that’s a dream come true for Dale, and for me being able to go back to this retro JRPG. You can see from the budget of the game, it’s not going to be a huge title. We’re not working on it because there’s a ton of money in it, we’re working on it because it has a social message about workers’ rights in India. I’m really moved by how moved Kikuta-san was by this game and wanting to be involved in it regardless of how much money they raised. Patrick: How will the two subdivide duties? Jayson Napolitano: They reached a stretch goal; Kikuta is going to do two tracks, and Dale is going to do up to 40 minutes of music. The great thing is we’re going to be able to offer that soundtrack from Scarlet Moon Records. So that’ll be something hopefully coming either this year or early next year. Patrick: Do you have any plans for new album releases? Jayson Napolitano: I can tell you that Prescription for Sleep: Game Music Lullabies 2 has been doing really well, and I want to do more. Patrick: So 3 might be in the works? Jayson Napolitano: 3 might be in the works. I want to do something a little different. I kind of have an overarching idea of what I want to do with the series, and I know I wanted it to be a series from the beginning. So I kind of have some ideas going on in my heads. You will definitely know what is going on with it by the end of the year. Patrick: How did the idea for Prescription for Sleep come about? Why lullaby versions of videogame music? 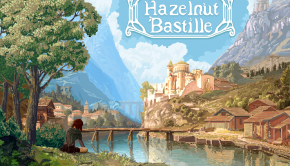 Jayson Napolitano: The idea is that I’ve been writing about game music for a really long time. My playlists on my iPod are almost exclusively game music, much to my wife’s dislike. I’ve developed playlists over the years. I like to listen to music a lot, at home. So I have playlists for sleep, a playlist for the gym, I have a playlist for entertaining and having people over, parties kind of thing. Patrick: I think I remember you telling me that Final Fantasy XII’s “Boss Battle” music is a really good work-out song. Jayson Napolitano: I like it! So what happened was I started writing these Top 10 lists when I was the Music Editor at Destructoid. It started with “Top 10 Game Music Tracks for Christmas.” I was writing these Top 10 articles, which are generally clickbait, but I was really passionate about it. It’s really fun to do because everybody has their own idea of what they think fits and, with music, it’s a three-minute listening experience as people were providing links to all their songs, and you can go through and listen to all the different tracks. If someone had a Top 10 game list of whatever, you can’t go and play ten games plus the hundred games that all the people in the comments told you about. But if someone’s like, “here’s the Top 10 game music tracks,” and if people put a hundred songs in the comments, you could realistically listen to all that music, compile it on a playlist and be like, “cool, I’m set!” So I really like the response I got from those articles. 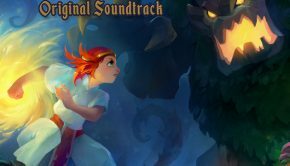 Jayson Napolitano: So the second one I did was “Top 10 Game Music tracks for Sleep.” Obviously, the tracks I picked to sleep were limited to original soundtrack versions of songs. I wrote that article, it got a lot of comments, and everybody had an idea of what should be in the Top 10. Patrick: Was it your initial aim on launching Scarlet Moon Records to produce arranged albums? Jayson Napolitano: Actually when I launched this company, my goal was to do PR. But I knew that some of the artists I was working with, like Vince DiCola and Goomin Nam, had album soundtracks that I had reviewed on Destructoid and OSV when I was writing there, that were not released. And they were fantastic soundtracks. So I said, why don’t I also have a record label and put some of this music out there? So that’s how we got Saturday Morning RPG and Monarch: Heroes of the New Age. So I was thinking, well I have this label now, I guess I could kind of do some cool stuff that I’ve been thinking about or would be really neat for everybody. So I said, okay, I wrote these two articles for game music for sleep and game music for the gym, could I do something with that idea? Well, game music for sleep seems like it would be an easier fit because for a gym one you’d have to do rock arrangements, so I thought who would I have to do it? Jayson Napolitano: I had been working with Norihiko Hibino for a really long time, in a PR capacity and just as friends, and knew he was working on a lot of therapeutic music. So I approached him and asked if he would be interested in having “Gentle Love,” which is the duo between him and pianist Ayaki [Saito] performing some game music tracks to sleep and to relax to, and he said “yeah, sure!” So we came up with a business model for it, and I guess the rest is history.” For the first album, I went back to that Top 10 list and I picked most of the songs from that and the comments. For example, I had no intention or idea to include Donkey Kong Country’s “Aquatic Ambience” in the first album, but somebody in the comments had suggested it. And the reason I didn’t think to include it at first was because it’s not in my playlist, but someone suggested it. Can I clear the license with Loudr? Yes, okay, we’re going to do “Aquatic Ambience.” And it’s one of my favorite tracks on the album. Patrick: Yeah, it’s such an iconic track to begin with. Jayson Napolitano: And I’m not even a big fan of Donkey Kong Country, honestly. The first album, we went with tracks that were already sleep-inducing in some way. You could listen to the original soundtrack version and fall asleep. So we kind of elevated it with a live rendition of it so that it could be more timeless and more accessible to people who maybe aren’t into videogames, or are only peripherally into videogames. With the second album, however, I wanted to challenge Hibino-san by saying “okay, let’s take songs that aren’t sleep-inducing”. And that opens it up to more of my favorites. And that’s honestly what the track listing is: my favorite songs. It’s kind of self-serving in a way. Jayson Napolitano: Yeah, absolutely. 2 has a track that seems obvious given Hibino’s involvement: “Snake Eater” from Metal Gear Solid 3, which he wrote. That would have never crossed our mind to include. When the first album was announced on Gamespot, the editor Kevin VanOrd, had noted, “oh there’s this new album, Prescription for Sleep: Game Music for Lullabies [which] features Metal Gear Solid 3: Snaker Eater composer Norihiko Hibino, but we don’t know if Snake Eater is going to be on it yet.” And I said, damn, that’s such a good idea! So for Volume 2 we included that. We had DuckTales’ “The Moon,” we had Shovel Knight, and other things you would not think as lullabies. I think those two tracks are my two favorites, and it’s because they had strong melodies that they were able to create a nice arrangement. Patrick: Who handled the arrangements, mostly? Jayson Napolitano: Hibino-san. So the way it works is I pick the tracks, I make sure we can clear the licenses. I send them over to Hibino. He would do the arrangements, and very loosely. He’s a jazz master, so very loosely – the chord structures and melodies only, and he would give that to Ayaki on the day of recording they would basically improv, because they’re both jazz artists. It’s really great. At MAGFest, I would love to hear them live because I know that the performance would be different. You’d hear a unique version every time they performed it. Patrick: MAGFest tends to have the DJ and rock aspect down from the Japanese composers that are invited. That would definitely be a cool twist. Jayson Napolitano: Well, we submitted an application this year to have them perform, maybe as a part of the MAGprom. I mean, we don’t want to put everybody to sleep. [laughter] I could say “hey guys, let’s do it a little more lively,” and they can put in more solos and be a little more rambunctious like the Super Mario 64 “Dire Dire Docks” track or “The Lost Painting” from Castlevania: Symphony of the Night which were a little more upbeat on the first album. So that makes me think, well gosh we should do a live recording of whatever they do perform live and release it as an alternate, especially if we did an upbeat one. Patrick: Or maybe even pair up with Super Soul Bros. or something. Jayson Napolitano: Yeah, that would be really cool, we could form a supergroup. Patrick: You’ve mentioned the hurdles with licensing. Can you describe the challenges acquiring those licenses? From what I hear, it can be pretty pricey. Patrick: Is there anything you can’t include that way? 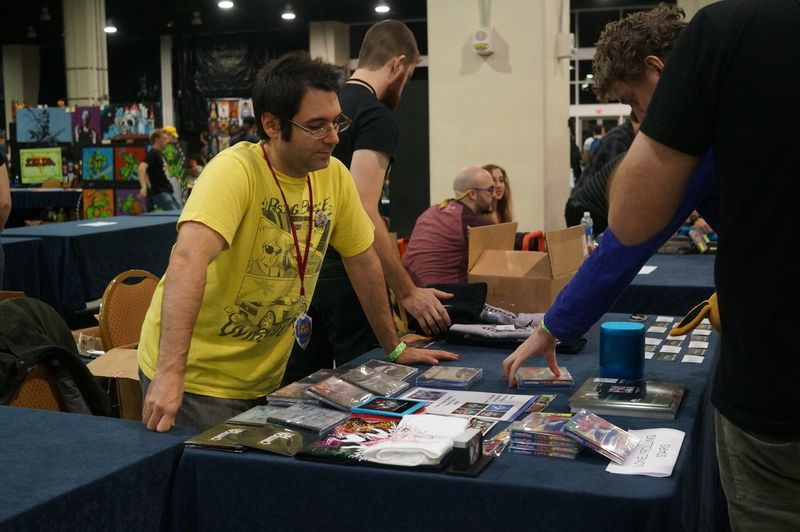 Jayson Napolitano: I’ve only included soundtracks that had been released in the United States for sale. That’s why we have “Dire Dire Docks” from Super Mario 64, we have Donkey Kong Country’s “Aquatic Ambience,” we have Majora’s Mask’s “Oath to Order.” Their soundtracks have all been officially released in the United States. So that’s why, as far as Nintendo is concerned, I have not been able to include Metroid tracks as much as I would love to. You know, I really want Super Metroid’s “Red Swampy Area” on this album. But, it’s not licensable because the soundtrack hasn’t been released in the United States. Patrick: Is all the licensing done by Loudr? Jayson Napolitano: Yes, Loudr just takes care of everything. They pay the royalties. 9.1 cents for a song under five minutes, which none of ours are, and 1.75 cents per minute for songs over five minutes for every minute rounded up. Patrick: It’s interesting how it works out that way. Jayson Napolitano: It ends up coming out to a couple bucks per album sold. Because the tracks are so long, it’s maybe more than somebody else would pay if they had five minute tracks. But money is going to the copyright holders, which is important. I’m trying to just make sure we’re doing everything properly. The streams that we offer on YouTube are 30-second samples; they’re not the whole track because we don’t want to get wrapped up in streaming royalties and all these other things that kind of come into consideration. Patrick: You already talked about your future plans and everything, but is there a wishlist item you would like to do? Jayson Napolitano: As far as the PR side, I really want to work more with Japanese composers. For example, there’s a lot of news stories on Video Game Music Online about this Japanese composer who used to be with this big studio is now going solo, and they’re putting out solo albums. So whether that’s Hamauzu doing his solo stuff with Monomusik or Junya Nakano doing stuff on Bandcamp, we want to reach out to them and say hey, you have this stuff available online but nobody knows it’s here! And nobody knows who you are! Let us help make that link. I think as game music enthusiasts, we might be in the know, but mainstream game music fans and mainstream gamers probably have no idea. Patrick: Yeah, it would be good to see these efforts get more popular attention. Jayson Napolitano: We brought on some staff to help us with translation and communicating with Japanese composers to convey the benefit of international PR. We’ve been talking to some composers in Japan about proceeding with this so hopefully we’ll be talking and spreading the word more about what Japanese composers are doing for American audiences, which I think will be really good for everybody into game music. Patrick: What about other aspects of Scarlet Moon? Jayson Napolitano: And on the artist front, it’s E3 so we are talking to a lot of people and there’s a lot of excitement about some potential projects we may be doing. In terms of the record label, again, we’re looking [forward] to Unraveled, the soundtrack, and then from there, more Game Music Lullabies. And you know, the holidays are coming up too, [so] it’s probably about the time that we’re going to start looking at a Scarlet Moon Christmas EP Volume 2. Patrick: You really dig Christmas music! Jayson Napolitano: Dale and I are huge fans of Christmas music, so I have a Christmas playlist that has a lot of Christmas music on it, but also a lot of game music on it. We have “Theme of Lutie” from Ragnarok Online on my playlist, and Super Mario 64’s snow level, for example. Patrick: How will the second volume build on the first? Jayson Napolitano: Last year, we only had five tracks on it. The Christmas EP has a track from Dale, Final Fantasy IX’s “Melodies of Life”, Goomin Nam doing a beautiful, gorgeous rendition of Final Fantasy VIII’s “Fisherman’s Horizon.” I had a track on there, “Troian Beauty” from Final Fantasy IV. Vince DiCola had his “Christmas Adventure” from Saturday Morning RPG. The new album will probably be a combination of traditional Christmas music arrangements, but also game music tracks arranged in Christmas style. We reached out to the artist group for Scarlet Moon artists. A lot of them were interested in participating, but by the time I was asking it was already September/October, so hopefully this year we’ll have a bigger showing from Scarlet Moon artists on the Christmas album, so that’ll be fun. Jayson Napolitano: Oh, I think it’s pretty obvious. [laughter] I mean, I don’t know how many people actually know what “Scarlet Moon Empire” is, but my favorite videogame of all time is Suikoden. Patrick: Ah yes, it’s coming back to me. Jayson Napolitano: You play the role of a rebel, who’s fighting the evil empire who used to be good, but they’ve grown corrupt and are abusing their power. So, that evil empire is called Scarlet Moon Empire. I don’t think it’s really referred to very much in the original game itself, though there might be a couple references to it. But in a lot of the later games, they refer back to that empire. I wanted to have something that pays homage to Suikoden, my favorite videogame. I personally kind of think it’s a lame name. [laughter] But you know, it’s cool. The branding has worked out really well, I love our logo. 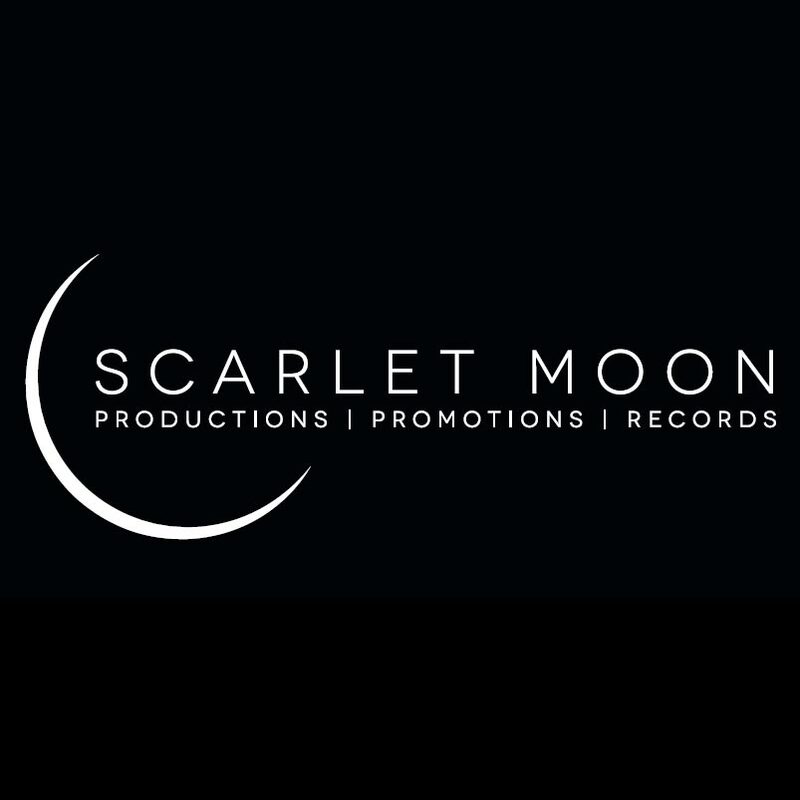 It’s been really cool, we’ve got Scarlet Moon Productions, this kind of umbrella of Scarlet Moon Promotions, Scarlet Moon Records and Scarlet Moon Artists. I think it kind of works. Patrick: It was great talking. Thanks for taking the time, again. Jayson Napolitano: Thank you for having me. Posted on July 4, 2015 by Patrick Kulikowski. Last modified on July 20, 2015.